If your mother loves collecting keepsakes and photo albums, this is the perfect gift for her. 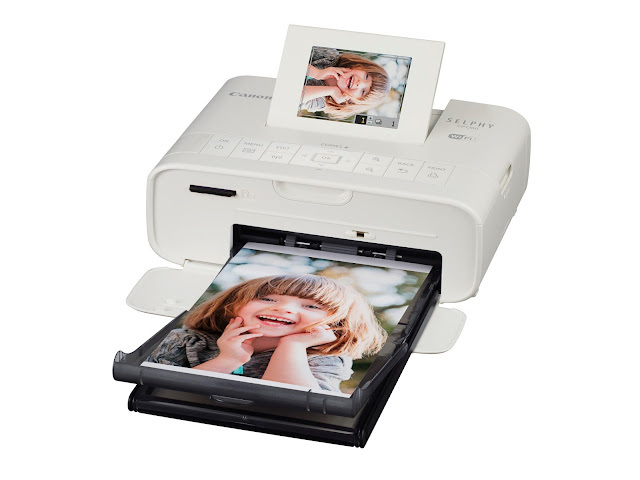 The SELPHY CP1200 enables her to print photos instantly from cameras and smartphones while on the go. Let her creativity run wild with the array of options this compact photo printer offers – postcards, square-size printouts, multi photo layouts and even mini stickers. Bonus tip: Turn this into a chance to bond with mum– print photos and have some fun creating a mini photo book/album together as a family! Dressed in jackets that come in a range of striking colours, this stylish and highly portable camera is the perfect accessory for every fashionista mum. She will have lots of fun dressing up the camera to suit her OOTD – be it the monochromatic jacket to portray a minimalist style, or something girly like the pink jacket. With features like Self Portrait mode that enable users to adjust the background blur, brightness, and even skin smoothness, the Canon EOS M10 will ensure that mum looks fabulous in all shots. Bonus tip: Use the EOS M10’s 180° tilt-type touchscreen for some fabulous wefies with mum this Mother’s Day! Does mum pride herself for her chic interior designer skills? With the PIXMA MG7770’s impeccable print quality and variety of templates available via PhotoPrint+, mum can easily edit and print photos for the home via mobile, Wi-Fi, and even NFC. Plus, this polished and sleek all-in-one photo printer will fit right in to the décor of your home! Bonus tip: Team up with mum to jazz up the home with some art pieces and family photos printed on the PIXMA MG7770! If mum is an avid traveler, the Canon PowerShot G5 X would be the perfect companion for her. The G5 X goes the distance to deliver high image quality with its large 1.0” 20.2-megapixel CMOS sensor and DIGIC 6 processor. Coupled with its electronic viewfinder which helps manage extreme lighting, mum can easily snap scenes in picture-perfect clarity no matter the situation. With the Auto Level feature which enables smooth movie shooting on the move, mum can now even take travel vlogs to record her adventure of a lifetime! Bonus tip: Up the action with the PowerShot G5 X’s advanced movie functions which enables recording of 1080p Full HD videos and movie editing on the camera itself! Take mum out on a mini adventure this Mother’s Day and take tons of selfies, wefies and movies! Is mum a fan of the movies? Then she will likely love the RAYO i8! This mini projector promises crisp images, and allows her to project content easily wherever she goes, without having to deal with messy cables. Coupled with its built-in dual stereo speakers capable of delivering amplified and clear sound, the RAYO i8 will make movies leap to life! Bonus tip: Turn your crib into a mini movie theatre this Mother’s Day! All you need is a blank wall, a movie, and some popcorn to enjoy a movie date with mum right in the comfort of your home.